This performance is part of our season-long Origins series: a radical sharing of culture and music from six continents around the world. Called the “king of klezmer” who is “equally at home in Jazz, Rock, Classical, and various fusions thereof” by Stereophile, David Krakauer’s music defies categorization, with a hand in world music, electronica, funk, beats, and samples, all bolstered by his God-like chops. Krakauer’s career has traversed remarkable terrain: performing with the Kronos Quartet, soloing with the world’s leading Symphony Orchestras, and blowing to the heavens to 20,000 festival-goers. His music goes to his roots—he digs deep into the spirit of his ancestry, but at the same time attaches a groove that comes straight from the invigorating pulse of 21st Century New York. Krakauer’s band Ancestral Groove represents the next step in this unique musical evolution. Here’s Krakauer remixing Krakauer, hitting the road with his unmistakable sound, new arrangements of his signature repertoire and an electrifying 4-piece band, unleashing upon his audiences a joyful burst of adrenaline. Internationally acclaimed clarinetist DAVID KRAKAUER redefines the notion of a concert artist. Known for his mastery of myriad styles, he occupies the unique position of being one of the world’s leading exponents of Eastern European Jewish klezmer music, and at the same time is a major voice in classical music. As one of the foremost musicians of the vital new wave of klezmer, David Krakauer tours the globe with his celebrated Klezmer Madness! ensemble. While firmly rooted in traditional klezmer folk tunes, the band “hurls the tradition of klezmer music into the rock era” (Jon Pareles, The New York Times). 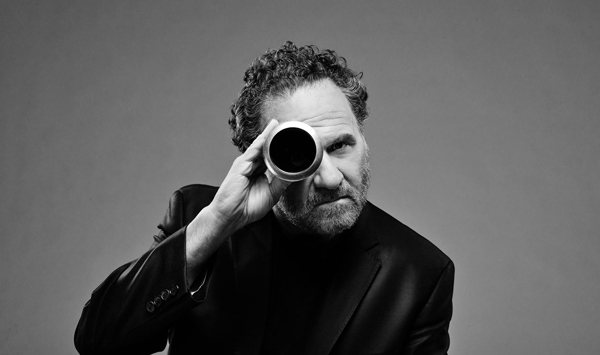 In addition to his annual European tours to major international festivals and jazz clubs, recent seasons brought Krakauer and his band to the Library of Congress, Stanford Lively Arts, San Francisco Performances, the Krannert Center, Carnegie’s Zankel Hall, the Venice Biennale, Krakow Jewish Culture Festival, BBC Proms, Saalfelden Jazz Festival, Transmusicales de Rennes, La Cigale, New Morning in Paris, and many others. His newest project, The Big Picture, re-imagines familiar themes by such renowned film music composers as John Williams, Marvin Hamlisch, Randy Newman, Wojciech Kilar and Vangelis, and interprets melodic gems by the likes of Sidney Bechet, Sergei Prokofiev, Mel Brooks, Ralph Burns, John Kander & Fred Ebb and Jerry Bock that have appeared in popular films. In addition, Krakauer is in demand worldwide as a guest soloist with the finest ensembles including the Emerson, Orion and Kronos String Quartets, as well as orchestras including the Amsterdam Sinfonietta, the Detroit Symphony, the Weimar Staatskapelle, the Phoenix Symphony, the Dresdener Philharmonie, and the Seattle Symphony.